A public war of words has erupted over the past few days between the Egyptian FA and national footballing icon Mohamed Salah. The Liverpool winger and his agent had previously become embroiled in a heated argument with the Egyptian football body over the exploitation of Salah’s image rights and the player’s personal security, but the latest events reveal that the problem dates back to the previous year. 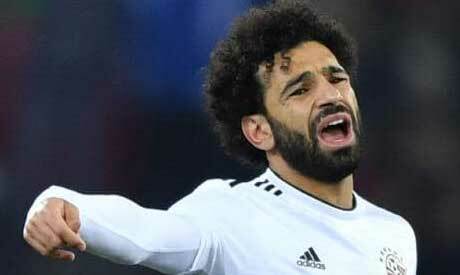 November 2017: Following Egypt’s qualification for the 2018 World Cup, Mohamed Salah’s agent Ramy Abbas revealed that they had addressed the EFA to raise the issue of image rights, but according to him there was no response. 18 March 2018: The EFA and its sponsor unveiled a new design for the Egypt team’s airplane for the World Cup, which featured Salah’s image. His agent Ramy Abbas again addressed the EFA but reportedly got no response. 29 April 2018: Salah expressed disappointment on Twitter: "With great sorrow, the way of handling is very insulting. I wish the handling of things had been more elegant than this." 6 May 2018: The EFA and all its sponsors agreed to remove all adverts showing Salah’s image. This came just a few days after President Abdel-Fattah El-Sisi called to solve the issue, according to the head of parliament’s youth and sports committee, Farag Amer. Early August 2018: Abbas sends several letters to the EFA listing demands to protect the exploitation of Salah’s image rights and his security. He also threatens to call for their resignation, before backtracking on this demand in a final correspondence. 26 August 2018: Salah publicly criticises the EFA, tweeting: "It's natural for any football association to solve the problems of its players … but in fact, what I see is exactly the opposite. It is not normal that my messages and my lawyer's letters are ignored. I do not know why all this (happens)? Don't you have time to respond to us?!" 27 August 2018: The EFA holds an urgent meeting and board member Ahmed Megahed said he is optimistic about resolving the crises after the agent backtracked on his hard-worded demands. Later on, the EFA issues a statement slamming the “disrespectful communication” of the agent and threatening to take legal action against him. In the evening, Salah releases a video on his official Facebook page, in which he denies that he sought any special treatment while being on international duty. He says that he speaks for his teammates, as they want more protection from disturbances during the camps, and that the EFA should be able to make things easier and more comfortable so the players can focus on their job. He also came to the defence of his lawyer and agent, saying that he represents him. Salah has been called up by Egypt’s new coach Javier Aguirre to play against Niger on 8 September in the 2019 Africa Cup of Nations qualifiers.